Copolymer toe space scuff pad with step, rectangle, fits PTI model #'s A-28, R-28, TE-28. 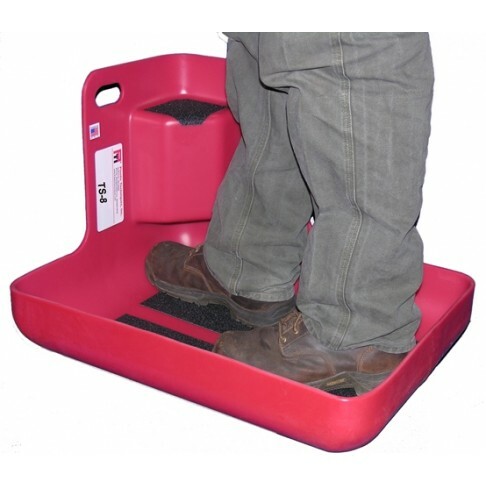 The new design of the step provides a larger step platform but doesn't protrude further into the basket than other PTI models. Copolymer toe space scuff pad with step, rectangle, fits PTI model #'s A-28, R-28, TE-28.MANUFACTURE..